2 1/4" Cessna (Hobbs type) Flight Hours / Elapsed time Indicator. It works with both 14V and 28V electric systems. Exceptionally clean item. 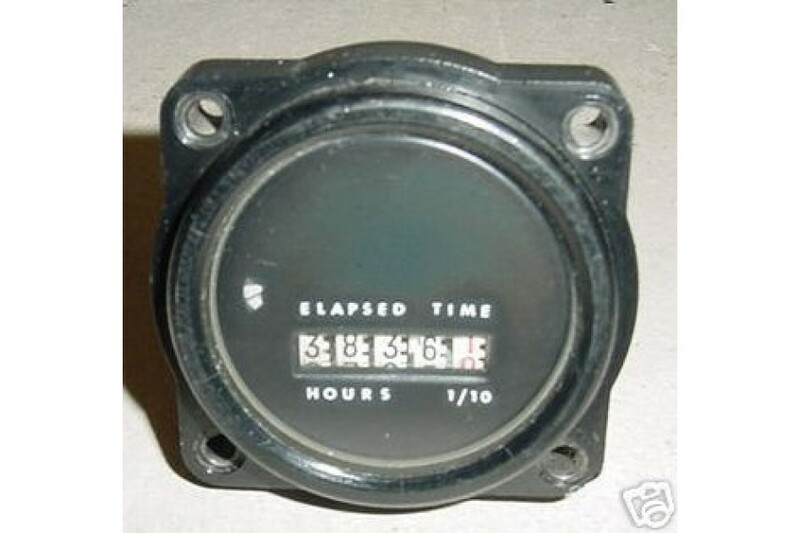 Hour Meter reads 3836.1 hrs. Removed from salvage aircraft.